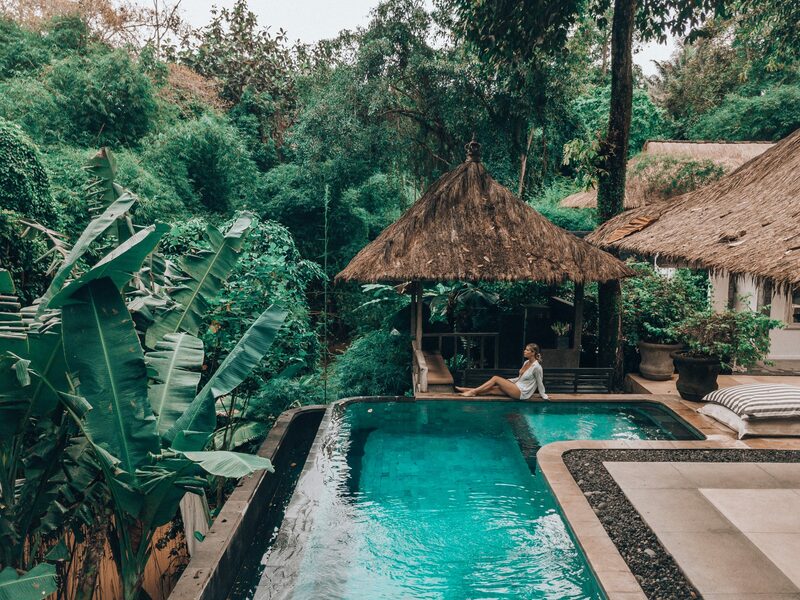 Away from the rumbling scooter traffic and busy nightlife of Bali’s coastline, Villa Sungai offers a blissful oasis just outside the center of Canggu. 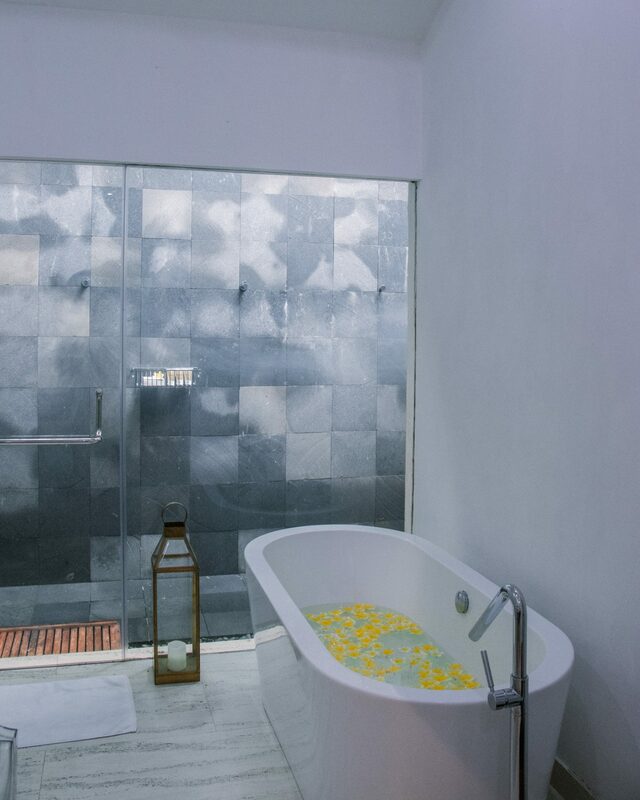 This property offers two exclusive, three-bedroom luxury villas, Sungai and Sungai Gold, or rent both for the Villa Sungai Platinum experience. All of which provide guests with 5-star service, including a 24/7 staff, private infinity pools, spacious bedrooms, and the ideal integration of indoor and outdoor living. It’s hard not to be in utter bliss in a place like this. A jungle paradise that offers the retreat of nature, while providing personalized service that will redefine your idea of luxury. 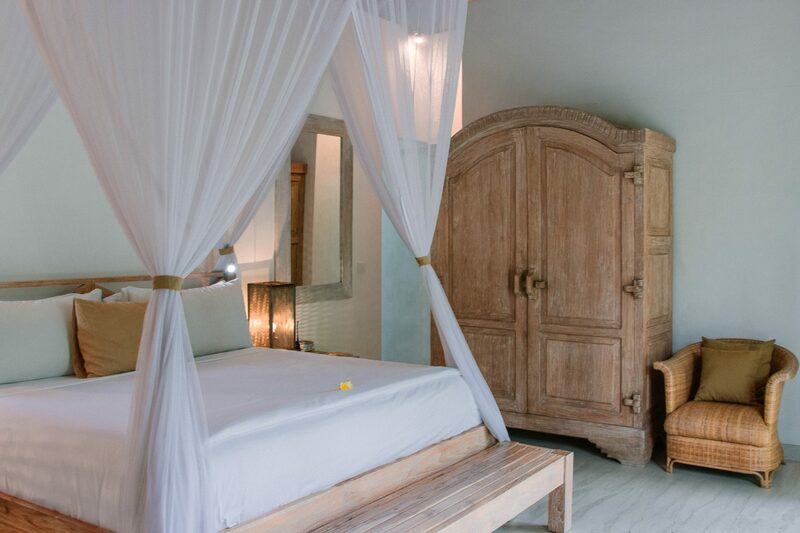 Rooms & Interiors – The bedroom is a sacred place, and Villa Sungai completely understands this. Guests can enjoy massive, plush beds, spacious closets and lounge couches, open-air bathrooms with double vanities, and enormous outdoor showers. The villas’ shared living and dining rooms are all covered outdoor spaces that include a range of plush lounge chairs, individual sun beds and king size day beds for the ultimate social space. 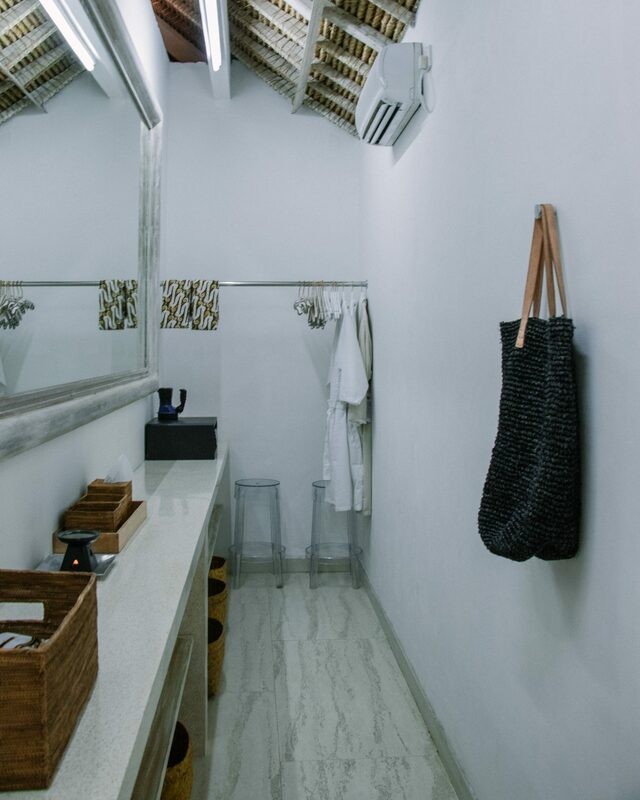 Style & Decor – The neutral, earthy tones and minimalist style decor at Villa Sungai allow for the lush natural surrounding to shine through. The open-air living spaces give the impression that you are on an exclusive eco retreat, though with all of the luxurious amenities that you could ever desire. The effortless integration of luxurious villa living and the surrounding environment great a harmonious space that is ideal for honeymooners, families, and group travelers alike. Food & Drink – Included in the Villa Sungai experience is a full service, personal chef. 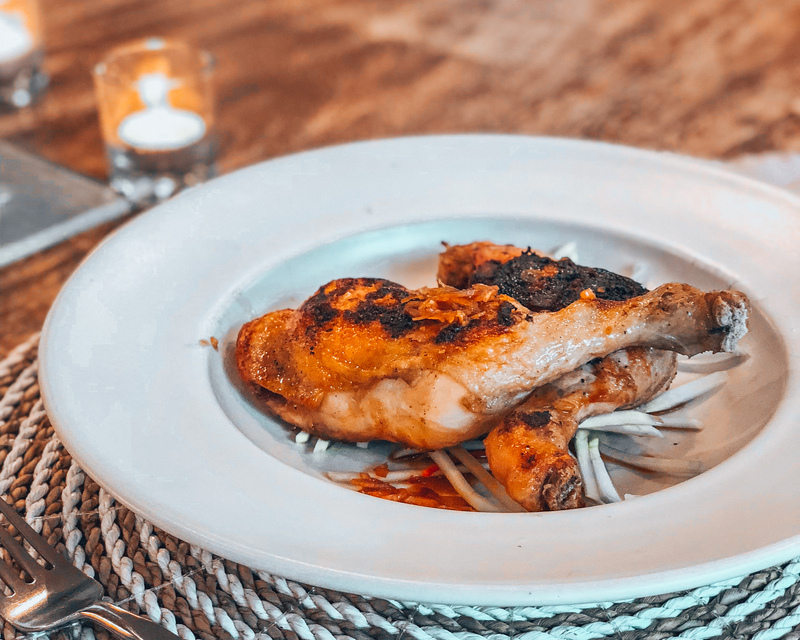 Unlike other luxury accommodations, menu items can be tailored to guests needs and preferences. Especially considering that all food shopping is done daily to ensure the highest quality and freshness of ingredients. Of course breakfast is included in the villa stay, but additionally, other meals can be provided on a request basis, and only at the cost of ingredients. Also thirsty? A selection of wine, champagne and liquor is available at only wholesale cost. Facilities & Amenities – Step foot through the villa’s front doors and be prepared to be attended to hand and foot. While staying at Villa Sungai, any and everything will be taken care of by you’re around the clock butler staff, private chef, and chauffeur service. 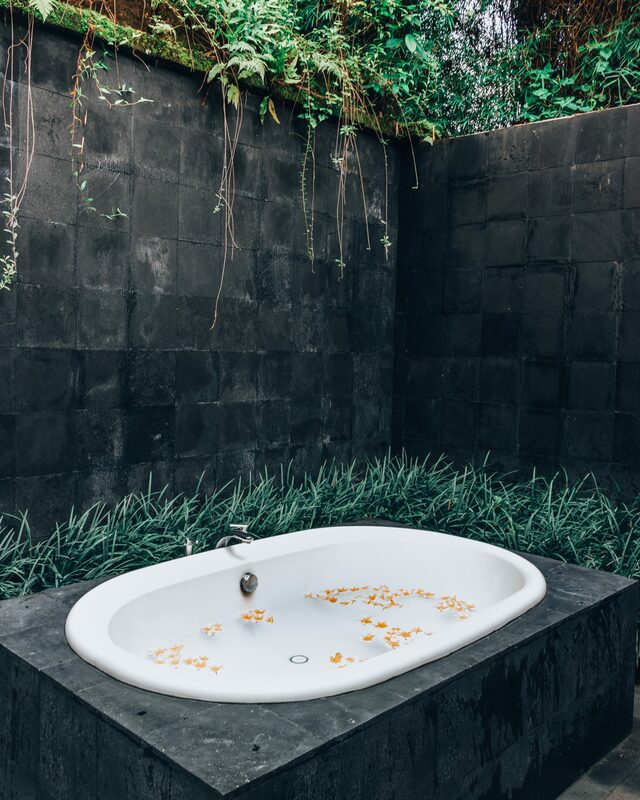 Apart from the daily logistics, take some time to unwind with an all organic spa service. Choose to relax in the private, double treatment room, or be serenaded by the surrounding jungle sounds during a poolside spa service. 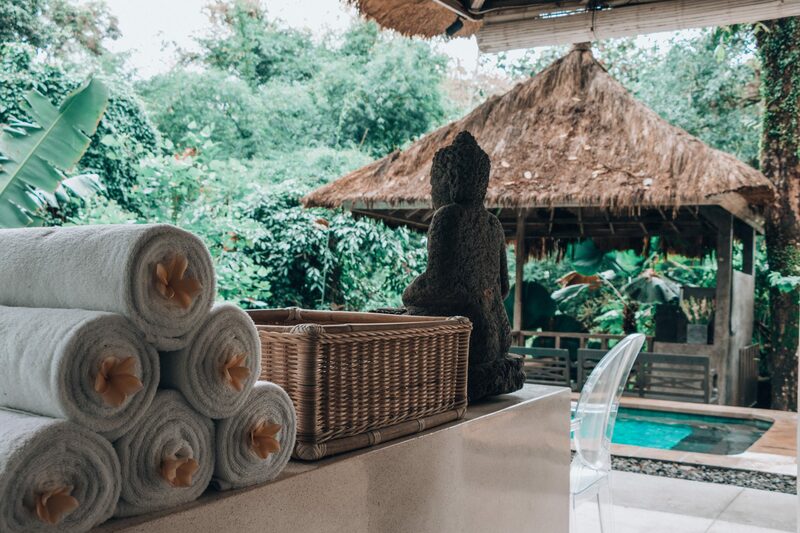 Location – Villa Sungai is located nearly 20-minutes from Canggu’s center, making it the ideal location for those looking to separate from the mainstream Bali scene without being completely isolated. 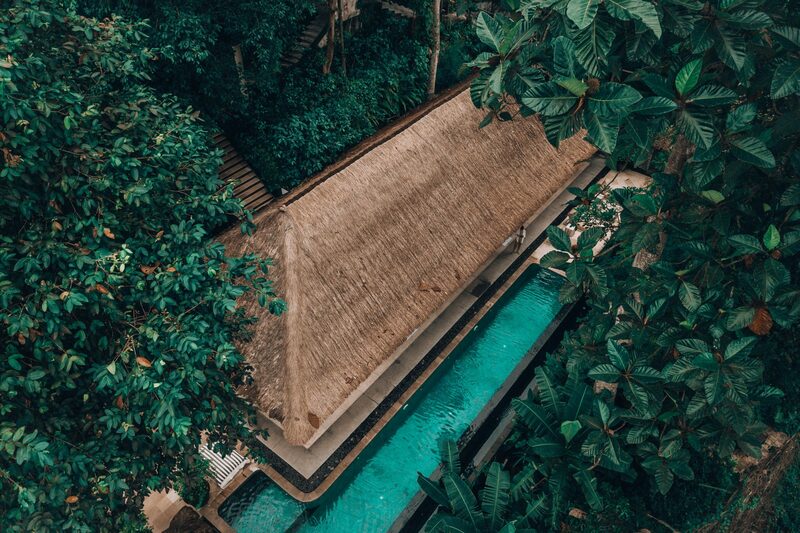 Take advantage of the jungle bliss, while also being only a car ride away from happening restaurants, bars, and surf spots. 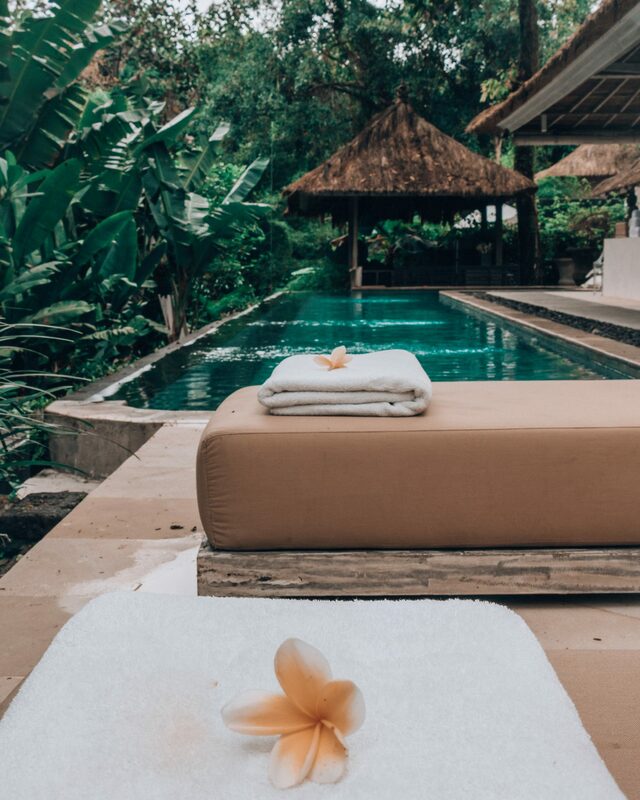 Though, considering the full-service staff, you may never even need to leave this luxury Bali villa.